The religious relics are brought through the streets. Finally, when finding a street with no parade, you would often be thoroughly disoriented and lost. Plus, it was a bit unsettling seeing the religious brotherhoods marching silently through the streets. In their robes and pointy hats, they looked quiet a bit like the KKK invading the town. 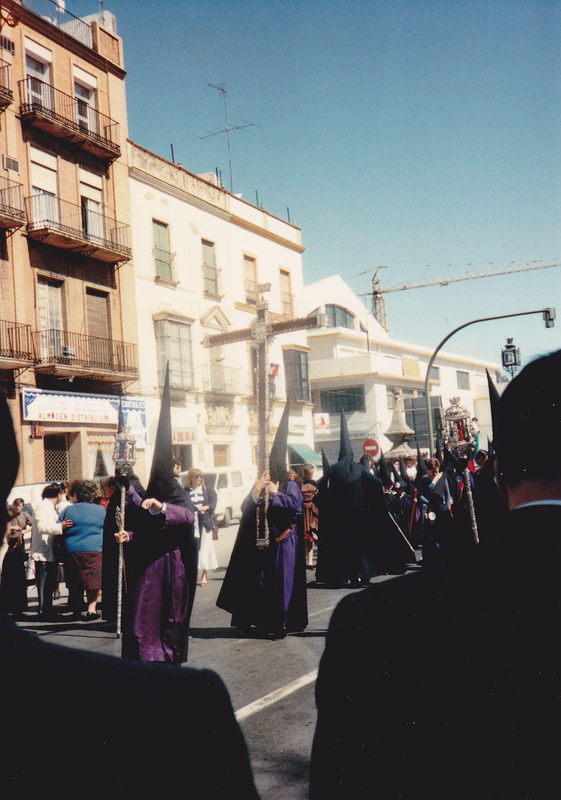 During the height of the Semana Santa processions, Judy and I wandered around Sevilla, and we became totally turned around. Our hotel was close to the grand Sevilla Cathedral, so we, at least, had a prominent landmark to work with. I began using my high school Spanish to try to get us back. This was problematic for several reasons. First, we were lost at night and many of the people in the streets were celebrating in full force. It was definitely hard to compete with the noise. 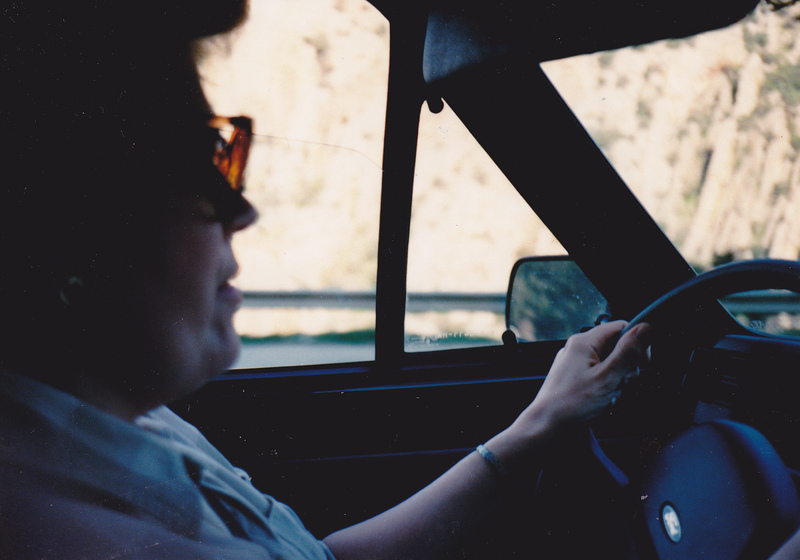 Then, because we were in Andalusia, it was hard to understand the Spanish dialect because often the ends of sentences sounded cut off or slurred together. At one point, I sort of understand a helpful reveler. Following his directions, we arrived at a cathedral, but not the one that we wanted. 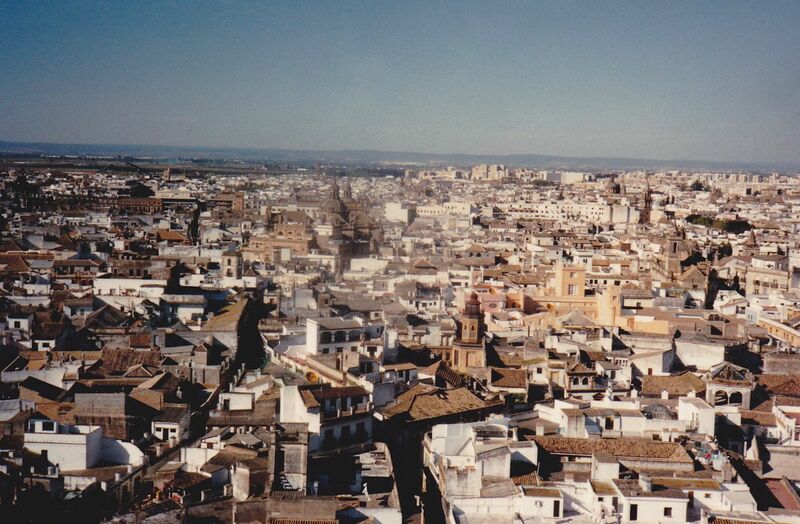 Of course, this was Sevilla and there were several cathedrals. My mom finally suggested I ask for the BIG cathedral. El catedral grande. The ultimate moment in asking for directions, however, was when we were driving and became completely lost in the older section of Sevilla. I got out for, probably, the fifth time within an hour to ask for directions. I approached two older gentlemen, who sat on a city bench and seemed not to be busy, and then I asked them how we could get to our hotel. After getting the nod to sit down, I pulled out a map to show to the older man I sat next to. In halting Spanish, it took some time to ask him how to get to a particular street. I looked at the man and waited for a response. He looked at me like a grandfather might look at his granddaughter right before she is about to be married. 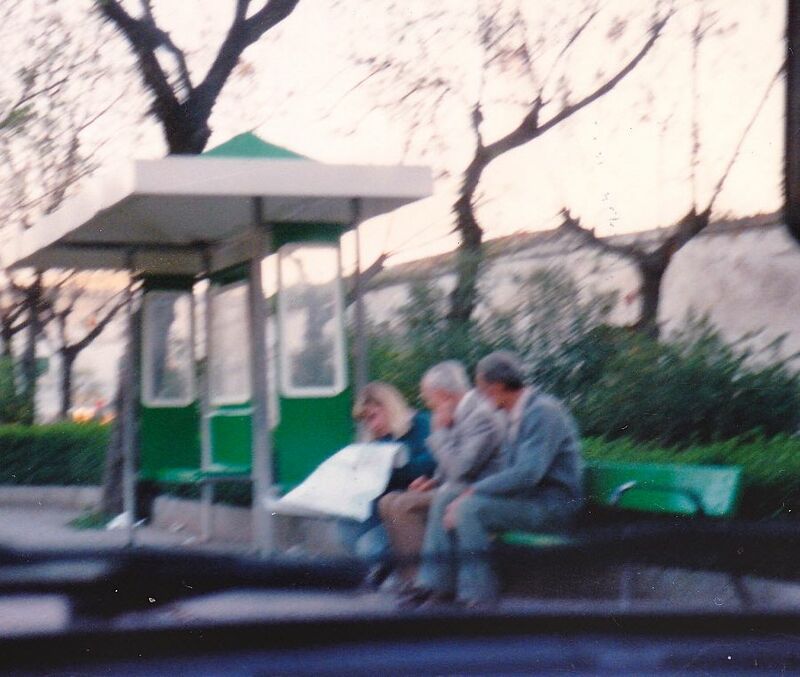 The silence was becoming a bit awkward when finally, the other older man motioned to his ear and then shook his head. “Él no puede oír,” he said while chuckling. His friend was deaf. The deaf man still looked at me, smiling while his friend slapped his knee laughing. I managed to laugh since it was pretty funny albeit slightly annoying since my brain hurt from trying not to use any Dutch. Eventually, the deaf man began laughing, too. Ultimately, I was pretty satisfied because I figured at least his non response was because he couldn’t hear and not because he couldn’t understand my Spanish. Asking a deaf man for directions. 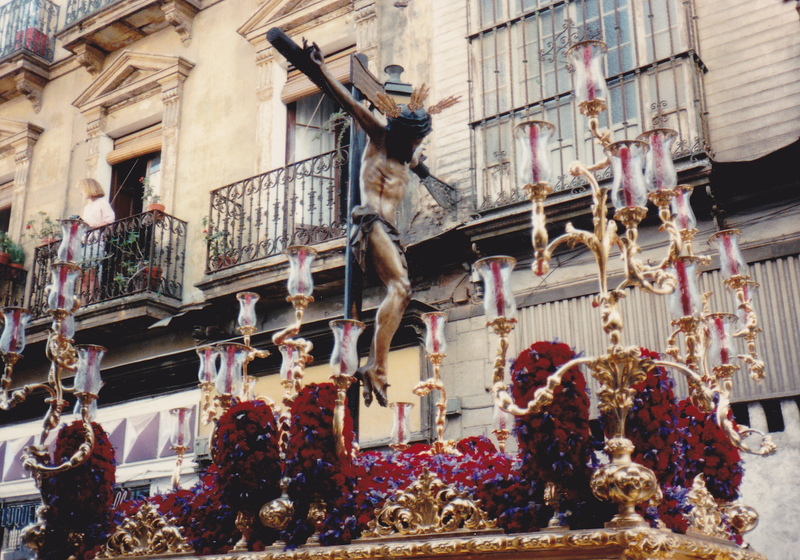 This entry was posted in Europe, Spain, Travel, Uncategorized and tagged Dutch, getting lost, Holy Week, Semana Santa, Sevilla, Spain, Speaking Spanish, travel misadventure, Travel oops by stephglaser. Bookmark the permalink.